Summary: Learn how to print from your Apple iPad, iPhone or iPod Touch to a wireless. Also learn how to print directly from your Apple iPad, iPhone or iPod Touch directly to either a wired or wireless printer even if you have no computer. You'll need a WIRELESS printer that supports the Postscript “Page Description Language (PDL)” data stream”. 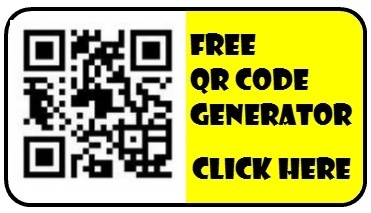 If your printer does NOT support PDL, you can use the “Print Central” print App described at this link. It's important that you understand that to print directly to a printer, you'll need a wireless printer that supports PDL. The PDL print language is a form of the PostScript Printer language. Before you BUY the PrintMagic App, you should visit the Wellala website to confirm your wireless printer is listed on the Wallala website as compatible. If your printer is not listed at the website, you can still downloand and run the Wellala Printer Test App to see if PrintMagic is compatible with your printer. If your printer does not support PDL, then you can still print from your Apple portable device, but you'll need to use an app such as “PrintCentral” using instructions described at this link. Print Magic uses the WiFi in your iPad, iPhone or iPod touch to send print jobs directly to to the WiFi receiver in compatible wireless printers. You can print nearly anything from Safari, Mail, Photos, or any application. Anything you can select and copy on the screen of your iPad, iPhone or iPod Touch, you can print to a printer using PrintMagic. A problem with this method of cutting and pasting is that it's not especially quick and not especially easy if you're printing multiple pages. The other “Print Central” printing app's interface allows you to view web pages and emails, photos and contacts and allows much faster printing by simply clicking on a print icon at the top right of each screen. Still, if you want to print directly to a wireless PDL printer, you may prefer Wellala's Print Magic App. The Print App and Print Server program need only be installed once. 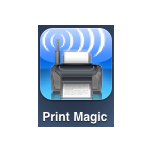 Step 3 Step 3 On your iPad, iPhone or iPod Touch, click the “PrintMagic” icon to start the app. Once Print Magic has been started, it will automatically search for a WiFi Wireless printet on your network. Step 4 Step 4 When PrintMagic finds a printer, a screen will be displayed that includes a button to “Print Test Page.” Tap the button to see if your printer is compatible. If the first test doesn't work, the PrintMagic App will display “Printer Test #2.” Again you'll tap the “Print Test Page” button to check your printer's compatibility. Step 6 Step 6 Whenever you want to print something, select it on the screen and “copy” it. To print what you've selected, start the PrintMagic app and click the “Print” icon. Next Print from Apple iPad, iPhone, iPod Touch to a wired printer? I’ve just downloaded this and am a bit disappointed that I can only print by selecting. I selected a table to print but only the cell contents were copied. In addition, it is now refusing to print despite the test working!